Since the new Shelby GT350 Mustang was introduced last year, Ford Motor Company has avoided mentioning the model year. 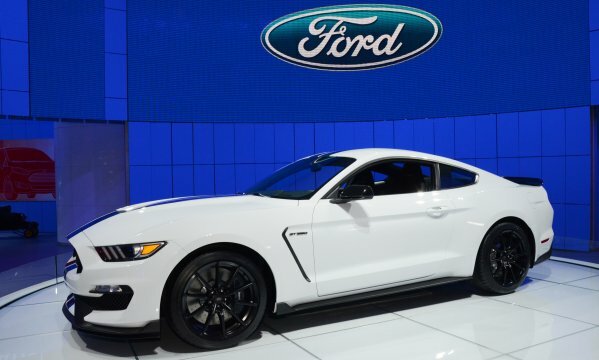 At first, it was expected to arrive for the 2015 model year, but as we have gotten well into the 2015 model year without any sign of the new GT350, it was assumed by most that it would arrive late this year as a 2016 model. This discussion was stoked a bit a few weeks back when a member from Mustang6g posted information stating that there would be a late-run 2015 Shelby Mustang. Of course, that information was leaked and unofficial, so we still didn’t have solid information on how the new GT350 Mustang would be labeled. Well, this entire discussion came to a close today as Ford Motor Company announced the first bit of official production information on the new Shelby GT350 Mustang. Ford will build 137 copies of the new Shelby Mustang for the 2015 model year at the end of 2015 model year production. After that, we can expect a much larger production run for the 2016 model year. The first Shelby Mustang ever was the GT350 back in 1965 so to celebrate the 50th anniversary of Shelby-modified Mustangs, Ford Motor Company will built 137 examples of the 2015 Ford Shelby GT350 Mustang. 100 of these Shelby Mustangs will be the more road-friendly GT350 while the other 37 will be the track-ready GT350R. Of the 100 2015 Shelby GT350 Mustangs, 50 of them will be equipped with the Technology Package while the other 50 will be equipped with the Track Package. 137 seems like an odd production number for the 2015 Shelby GT350 Mustang, but there is a story as to why Ford picked this figure. First, there is no real story as to why Ford will build 100 GT350 models, but I would guess that it is because 100 is a nice, even number. However, there is a reason why they will build 37 examples of the GT350R. Back in 1965, Carroll Shelby assisted in the design of the GT350 Mustang race cars and during the planning of that race-only package, Mr. Shelby wanted there to be two prototypes and 35 production models for sale. Even though records show that only 34 examples of the original Shelby GT350 Mustang race car were built and sold, Ford Motor Company is using Mr. Shelby’s original figures for the 2015 GT350R. Unless Ford sets up some sort of program which prevents dealerships from adding huge markups, we can expect the actual sale prices on these 137 2015 Shelby GT350 Mustangs to be astronomical. There are rumors that the GT350 will start in the low $50k range, but with just 137 examples being built, they will be incredibly hard for the dealerships to get and when they do get one, you can bet that they will charge the buyer for the privilege of owning one of these ultra-rare Shelby Mustangs. These cars could very well be one of the most collectable of any modern Ford Mustang and exclusivity like that comes with a big price.